Keemin is a Solahart Dealer. We provide and install Solar Power (PV) and Solar Hot Water solutions. Why are we partnered with Solahart? Solahart pioneered solar water heating in Australia in 1953. Since then they have installed over 1 million systems in over 70 countries and have become a world leader in the field of solar energy. Today their solar power PV systems are among the most efficient in the world, offering big energy savings to homeowners who switch to solar panels and energy free from the sun. The extensive network of Solahart Experts are qualified to assess your home and provide you with the best systems to meet your family’s needs. As installers we are trained to the highest standards to ensure the safety and effectiveness of your system. 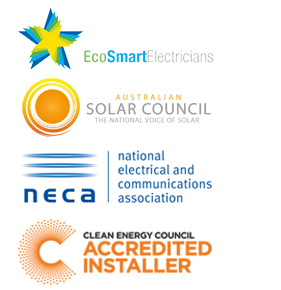 All this is backed by Solahart’s comprehensive warranties and the peace of mind you’ll get from dealing with Australia’s solar pioneer. 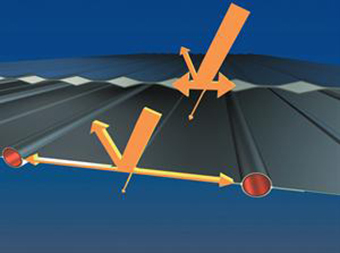 Solar power panels generate electricity from sunlight. The roof mounted solar panels are made up of many photovoltaic (PV) cells. These cells collect the sun’s light and convert the energy into DC current. This is fed through an inverter and converted to 240V AC electricity to power your home. The amount of electricity you can produce depends on the number and efficiency of the panels, the size of the inverter and the amount of sunlight in your location. 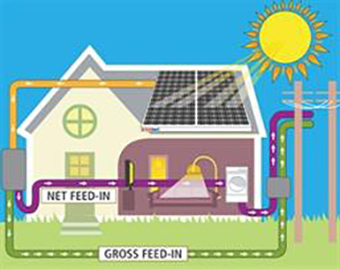 Your home remains connected to the power grid so when you generate more electricity than you need you can feed it into the grid or purchase more from the grid when you are not producing enough to meet your requirements. Keemin is a licensed electrical contractor and licensed by the clean energy council to design and install grid-connect PV systems. Water heating accounts for around 25%* of the average Australian household’s energy use, so it make great sense to switch to a solar water heater and use the sun’s free energy. Solahart manufactured our first solar water heater 60 years ago and have continued to develop the technology to be one of the most effective ways for Australian homes to save energy. The coating absorbs the sun’s rays and the heat is transferred directly to the fluid in the risers. This direct transfer of heat makes it a most efficient solar technology. The collectors feature a special toughened glass to protect from the extremes of the Australian climate.